For state and local government officials, the devastating and deadly wildfires of 2017 are a wake-up call. The growing natural disaster threats facing California communities can no longer be ignored. But for California’s fire service, these threats are more like déjà vu. 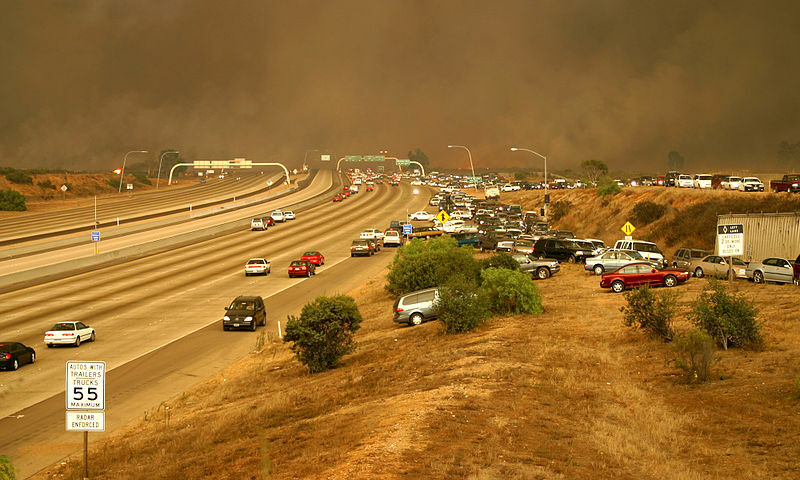 In the fall of 2003, a series of devastating wildfires consumed 740,000 acres in Southern California, including 273,000 in San Diego County — at the time the largest fire in the state’s history. As the ruins of the more than 2,300 homes destroyed by San Diego’s Cedar Fire still smoldered, the governor appointed a Blue Ribbon Fire Commission consisting of fire chiefs, firefighters, disaster response experts and others to determine what actions were needed to prevent and better respond to catastrophic fires like the Cedar Fire. It is a sad commentary that California’s fire service is still asking lawmakers to fund several of the recommendations that the commission made. A broad coalition of fire chiefs, rank-and-file firefighters, local governments and other disaster response agencies is making a new push to implement some of the commission’s recommendations. Organized under the banner of Disaster Readiness for Safer Communities, the coalition is asking the legislature and Gov. Jerry Brown to allocate an additional $100 million in next year’s state budget to modernize emergency communications and strengthen the ability of local fire departments to be deployed to major disasters through California’s Mutual Aid System. Pre-positioning sends firefighters, rescue workers and equipment to areas experiencing extreme weather conditions and that present a high risk of fires, mudslides and other disasters before those disasters occur. This strategy allows fire crews to move quickly to attack fires when relatively small and prevent them from becoming too large to control. It allows them to warn residents in advance of disasters and to respond immediately when disasters strike. In addition to pre-positioning, this funding would be used to update the process for requesting Mutual Aid, provide real-time data on the location of resources and deploy additional emergency dispatchers when the threat of natural disaster is high. These steps are vital for creating better situational awareness of emerging threats and prevent the Mutual Aid System from becoming overwhelmed at critical moments, a challenge that created bottlenecks and delayed the arrival of additional firefighting teams during the Sonoma and Napa County fires. Why do firefighters feel this renewed urgency need now? Because California’s most recent series of mega fires dwarfed the size of the 2003 blazes and burned 1.3 million acres — almost twice the number of acres burned in 2003. With the increasingly extreme weather patterns that are associated with climate change, these larger and more ferocious fires are becoming ever more common — the new normal for California, as Gov. Brown has acknowledged. The state’s Mutual Aid System is an effective mechanism for sending help in response to disasters, and allows local governments to recover their costs when mobilized. In disasters like the Cedar Fire or the fires that swept through large areas of California last year, multiple strike teams from a single jurisdiction can be mobilized for days or weeks at a time. Unfortunately, the Governor’s Office of Emergency Services lacks the funds and the mechanisms to allow the Mutual Aid System to effectively utilize pre-positioning as a contemporary disaster response strategy. The reality is that without the ability to recover costs, local governments are financially unable to provide the mutual aid assistance that is so important to California’s public safety network. The $100 million funding request would enhance the Mutual Aid System by allowing state and local fire officials to use improved weather and other forecasting technologies to deploy firefighters and disaster response personnel where they are most needed — before disasters strike. We should not wait to learn lessons from yet another series of tragic disasters. This should be the year that we ensure the Mutual Aid System becomes a more effective, adequately funded system able to make full use of modern firefighting and disaster response tools and strategies. Jeff Bowman served as the fire chief of San Diego Fire-Rescue from 2002 to 2006 and the Orange County Fire Authority from 2014 to 2017. Jeff Meston is fire chief of South Lake Tahoe Fire Rescue and president-elect of the California Fire Chiefs’ Association.